Following reports yesterday that Chinese trade officials had "quietly" approached the US about finding a way to avert a worsening trade war by restarting negotiations, Bloomberg reported Friday that the effort isn't entirely one-sided: Some White House officials are also pushing to restart talks with China to try and avert a trade catastrophe when US tariffs take effect on July 6. National Economic Council staff believe now is the time to try and hammer out a diplomatic solution, before the gap between the proposed and implemented tariffs shown in the chart below, starts to narrow. However, the chances of the US returning to the table with China are "slim", as senior administration officials - a group that presumably includes President Trump - feel that Beijing needs to pay for decades of "economic aggression." 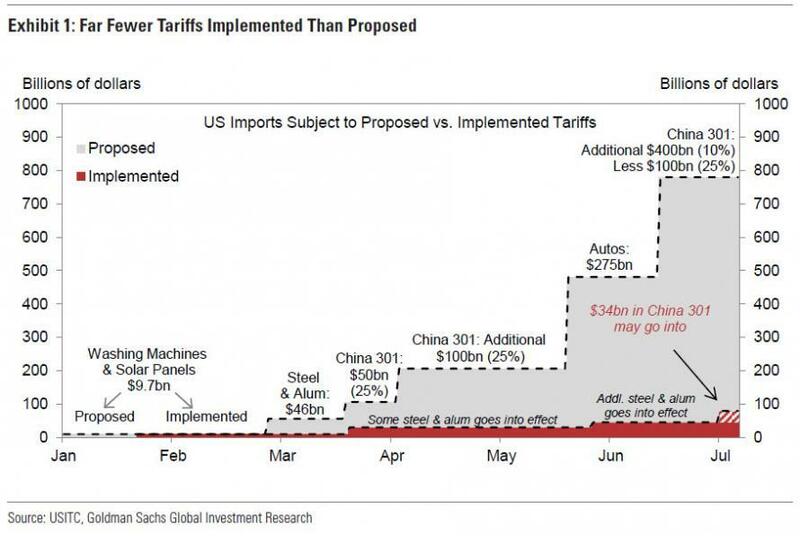 After July 6, the opportunity for "high level" talks could fade as the pace at which new tariffs are imposed would likely accelerate. Since the US imports far more goods from China than China imports from the US, the Chinese government could choose another strategy for retaliation after tariffs are exhausted - including a diplomatic retaliation like ordering Kim Jong Un to scuttle talks with the US. Some White House officials are trying to restart talks with China to avoid a trade war before U.S. tariffs on Chinese products take effect July 6, three people familiar with the plans said, setting up a battle with others in the administration who favor a harder line. Staff of the National Economic Council have contacted former U.S. government officials and China experts in recent days to gauge chances for high-level talks in the next two weeks, the people said on condition of anonymity to discuss the inquiries. One idea NEC staff floated was inviting Chinese Vice President Wang Qishan before the tariff deadline, they said. The outreach signals a willingness by some U.S. officials to seek a truce before $34 billion in Chinese products are hit with tariffs rather than trigger a trade war between the world’s two largest economies. Still, the chances of such negotiations happening in the near term are slim as long as opponents inside the administration favor penalizing Beijing. President Donald Trump has shown no signs of backing down. Meanwhile, according to Bloomberg sources, different factions within the Trump administration have different ideas about what would constitute a "win" in the burgeoning trade conflict. The hardliners (Peter Navarro, Robert Lighthizer) are pushing for China to accept "structural changes" - like abolishing joint ventures that allow Chinese companies to effectively steal foreign intellectual property - while a more moderate group (Treasury Secretary Steven Mnuchin and Kudlow) would be satisfied with a deal aimed at lowering the US-China trade deficit. Still, with barely two weeks remaining before the first round of Section 301 tariffs take effect on July 6, the US probably wouldn't be able to arrange a meeting with Chinese Vice President Wang Qishan beforehand. The administration also needs to release a product list for those tariffs. 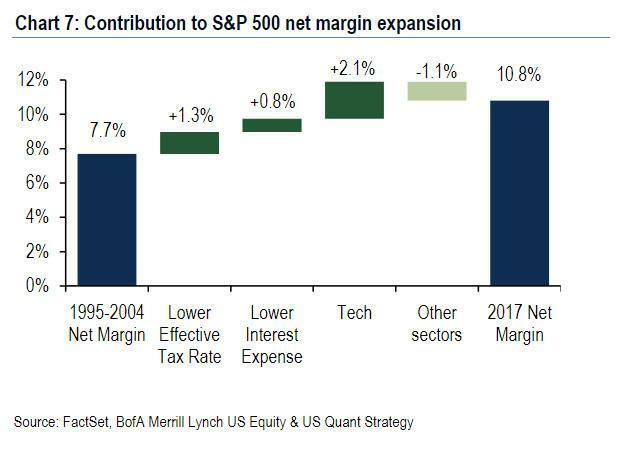 Of course, if US officials need anymore inspiration to return to the table, they could take a look at a Bank of America report from earlier this week that shows just how much US stocks would have to lose from globalization going "in reverse."